28.03.2017 (Hvino News). On March 23 a Georgian wine presentation took place in Monaco. 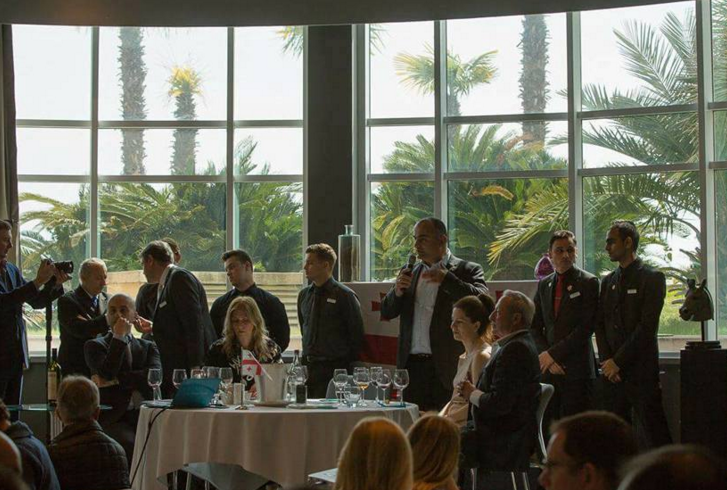 The tasting was organized by Dominique Milardi, vice-president of the Sommelier Association of Monaco with support of Georgian National Wine Agency and Georgian wine importer Ilia Kakhoidze. Seven Georgian companies were represented: Kakhuri, Peradze Wine Cellar, Schuchmann Wines, Shalauri Wine Cellar, Teleda, Vita Vinea, Winiveria. The tasting was attended by 85 guests including top sommeliers, winemakers, journalists and other wine professionals from Monaco, France and Italy.